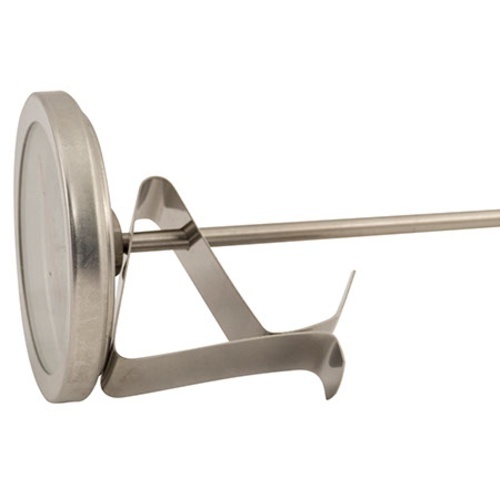 This therm features a 2" face, 9" long probe, and an adjustable kettle clip that displays the face at a convenient angle for hands-free viewing. 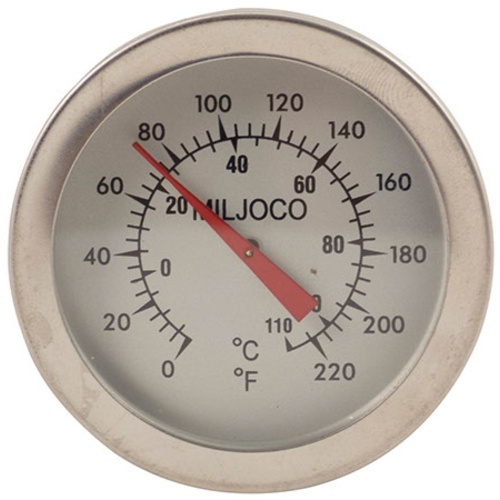 0-220° F range (-15 - 110° C). Calibration screw behind the face for adjusting temperature to a known standard. 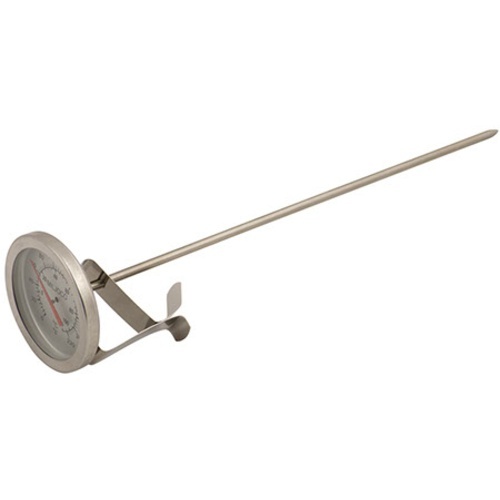 A good replacement for my old 5" pocket thermometer. Using for steeping water and wort cooldown monitoring. Love the ease and convenience of the kettle clip.